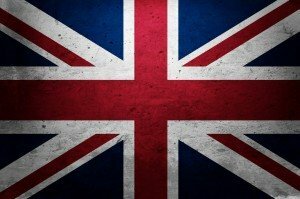 The legal system of the United Kingdom consists of 3 legal systems. This can get a little confusing when talking about law degrees. You want to know exactly where you can use your degree and if you need to do any further courses if you decide to practice outside of your legal system. These are the questions we’ll answer in this article along with some of the key differences between the English, Scottish and Northern Irish legal systems. Scots law is a hybrid legal system. That’s a legal system which combines both common and civil law. Scottish law long has been separate from English. Since the Acts of Union (and obviously before too) which put into action the Treaty of the Union Scotland has had its own separate legal system. However there are many similarities between the systems because the Parliament of the United Kingdom is one of the four main sources of law. The other three are the Scottish Parliament, European Parliament and Council of the EU. During the Partition of Ireland a separate jurisdiction was created in Northern Ireland. It’s a common law jurisdiction. Law can be made by the Parliament of the UK, the Northern Ireland Assembly and Statutory Rules. Because the law comes from similar sources the Northern Irish system is similar to the English system. However because unique legislation can be passed by the NI Assembly there will of course be some substantial differences too. There are also minor differences in the court structure. How do the non English degrees differ? The Scottish LLB isn’t too different to an English LLB in terms of subjects studied and skills learned. Modules such as contract law, criminal law, and employment law are still taught, but obviously it’s based around the law in Scotland. Additionally a much greater emphasis is put on civil law due to the hybrid system in Scotland. Completion of the course is necessary to complete the Diploma in Professional Legal Practice (Scottish LPC / BPTC) and obtain a traineeship (training contract). The LLB in Northern Ireland is very similar to the English LLB. However it incorporates the differences of law in NI into the course. The modules and skills gained from the course will be very similar. Completion of the course will allow you to take the LPC. A Scots law degree alone will not be sufficient to take the LPC and practice in the UK. First the graduate diploma in law must be taken. Then it’s possible to take the LPC. If you have taken the Diploma in Legal Practice, and obtained a traineeship, upon qualification you may take the QLTS (Qualified Lawyers Transfer Scheme) and become a solicitor who can practice in England. An LLB degree from a Northern Irish university such as Queens University Belfast and The University of Ulster count as qualifying law degrees. This means they are accepted by the Solicitors Regulation Authority as providing a course which meets their standards and means graduates can go on to take the LLB. A qualified solicitor in NI may be admitted to the roll of solicitors in England without further training. You won’t be able to work as a solicitor in Scotland without a qualifying Scottish law degree. The English LLB isn’t recognised as a qualifying law degree. Unfortunately in Scotland there isn’t an equivalent of the 1 year GDL. However there is an accelerated 2 year LLB. If you complete this then you may take the Diploma in Professional Legal Practice and take your traineeship as normal. The the post university process in Northern Ireland is slightly different. A degree from an English university should be recognised in NI (you can check here). But then you will need to take a two year apprenticeship under a master. This has an academic part (similar to the LPC) which called the Certificate of Professional Studies which lasts for 1 year. It’s like a combined LPC / training contract. Solicitors from England who have completed all their training may be admitted to the roll of solicitors in Northern Ireland. This doesn’t need any further qualifications. For more specific information contact the university / college you’re thinking of taking the course with, or the law society of the country in question.